The number of new fathers taking paternity leave fell for the first time in five years last year, while almost three times more women took maternity leave. Law firm EMW said figures it obtained from HM Revenue and Customs showed there was a 3.3% drop in the number of fathers who took paternity leave in the 12 months to 31 March 2018, down to 213,500 from 221,000 the year before. In contrast, there was a slight increase (0.3%) in the number of mothers taking maternity leave. In 2017/18 662,700 went on maternity leave, compared with 661,000 the previous year. EMW also highlighted that take-up of shared parental leave – where new parents can share up to 50 weeks of leave and 37 weeks of statutory pay between them – remained low. It said HMRC figures showed just 9,200 new parents took advantage of the scheme in 2017/18 – only 500 more than the previous year. One reason it suggested for the low take-up of both paternity leave and shared parental leave could be the increase in self-employed and gig economy workers, who do not receive statutory benefits after the birth of a child. Jon Taylor, principal at EMW, said taking time off work was often not an option for men who worked in the gig economy. Earlier this year Liberal Democrat MP Jo Swinson tabled a bill that would require employers with 250 staff or more to publish their shared parental leave policies online to help address gender inequality and help employers attract and retain staff. 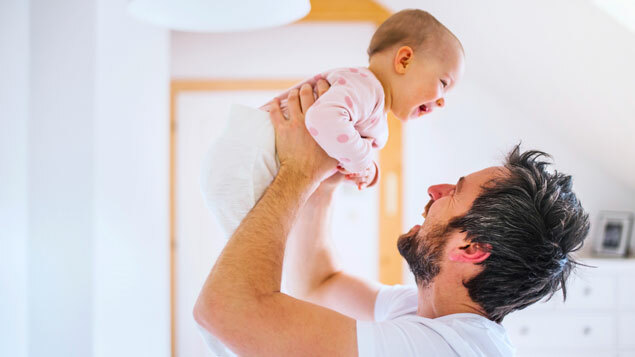 A survey by Money.co.uk in April found that half of prospective fathers were unlikely to take shared parental leave because they earn more money than their partner while at work and needed to continue earning. In 2017 there were 679,106 live births in England and Wales, a decrease of 2.5% compared with 696,271 in 2016. This is the largest annual percentage decrease since the number of live births declined by 4.3% between 2012 and 2013 . Is the decrease in Paternity leave therefore any surprise? i assume not when there is an increase in maternity leave by new mothers? one may assume there is a father that is interested in taking paternity alongside. Maybe it shows more babies being born outside of a relationship? just a thought. Personally – I think the Shared Parental Leave idea isn’t taken up because it’s completely flawed….. The whole basis is that for Dad to get any additional leave over his 2 weeks statutory, Mum has to lose out. So Dads have to ask Mums to take less maternity leave… which is unfair, not something that many Dads would be prepared to do and just doesn’t feel right. Why not just up the amount of Paternity leave? I don’t understand why it makes a difference to Dads’ employers, Company A, if Mom takes 8,9 or 12 months off when she works for company B anyway? One in four (23%) men who became a father last year were not eligible to receive statutory paternity pay.